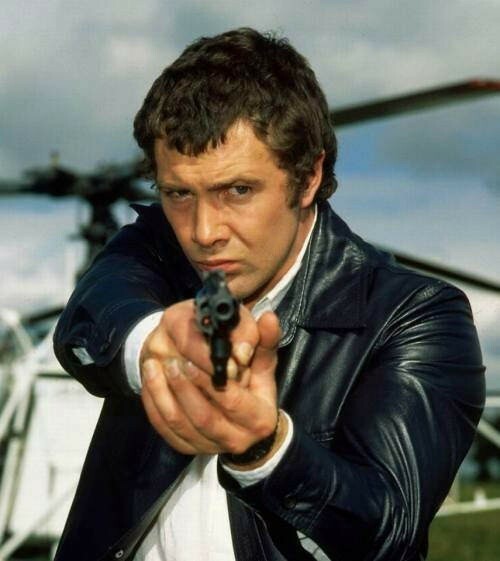 #308....."LEWIS COLLINS" - BODIE 3.7 . you'll never walk alone ! Yeah, very familiar and wonderful to look at. yes it's a gorgeous image of him and one that i adore. Love that intense focus of Bodie aiming. Thanks. mmmm me too....just look at the concentration ...yum. WHAT a fantastic photo! I love it, thank you. It's a fantastic image of him and i love the deadly accuracy of his aim. And you know there's no way he's going to miss. Lovely picture. His deadly aim is there for all to see and this is such a fabulous image of him and one that i adore. And how many times have you posted this one, hmm?? It's from kickback? probably a few rtimes but i can never get enough of him when he's looking like this . You might get to see it again some time in my journal at some point. oh i shall, well atleast until my Lewis challenge is completed. To which then you start the Lewis pics for me challenge ..
ha ha....i think people will have seen enough of me on here by then. i shall disappear for a while *g* give you time to recover and i shall keep a look out for your puctures that you post. Nooo .. am I going to have to take up the mantle? i will always be here to talk to if you need me and yes perhaps you should. Well I'll ponder my collection and commitments. By the looks I have a couple of months? I still a few more months yet to finish my challenge so I will still be here for that time. You don't get rid of me that easily . Who knows I may set myself another challenge at some point.If I do i hope you Will join me for the ride.